This is a unique event on a global scale. 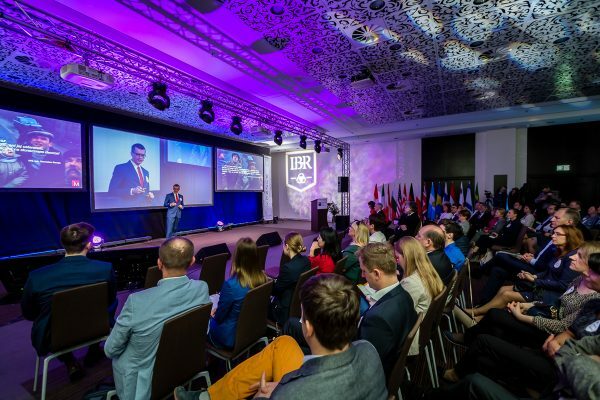 Speakers include owners of the largest family businesses in Poland and in the world. They are eager to share experiences, how to deal with the challenges of family entrepreneurship and how to build long-lasting companies, caring for good relationships in the family. By initiating the Congress we created a platform for the exchange of knowledge in the field of family business management. Come and become part of an international community that professionalizes business and strengthens the family! If you belong to any of these groups, you will find what you are looking for! Learn how to build long-lasting family structures at the Congress! *The prices given are net prices. The International Family Business Congress is directed primarily to owners and successors in family owned businesses and private businesses (ie where the owners are natural persons). Due to the limited number of participants and our desire to ensure best conditions for creating dialogue and the opportunity to exchange experiences in a homogeneous group of family business owners, persons representing consulting companies, law and tax offices, banks and investment funds, as well as public sector institutions can participate in the Congress only at the invitation of the Organizer. Doradca ds. strategii i sukcesji w firmach rodzinnych. Specjalizuje się w doradztwie strategicznym oraz strategiach rozwoju dla przedsiębiorstw, jak również w strategiach sukcesyjnych oraz coachingu. Założyciel i prezes Instytutu Biznesu Rodzinnego – ośrodka naukowo-badawczego i Centrum Wiedzy – powstałego z myślą o właścicielach firm rodzinnych oraz ich następcach. Lider Merytoryczny oraz Ekspert ds. Metodologii Wsparcia Procesu Sukcesji we współfinansowanym ze środków unijnych projekcie „Kody wartości – efektywna sukcesja w polskich firmach rodzinnych”. Członek Międzynarodowej Sieci Doradców Strategicznych z siedzibą w Berlinie. Akredytowany partner PARP. Członek Stowarzyszenia Inicjatywa Firm Rodzinnych (numer członkowski 77). 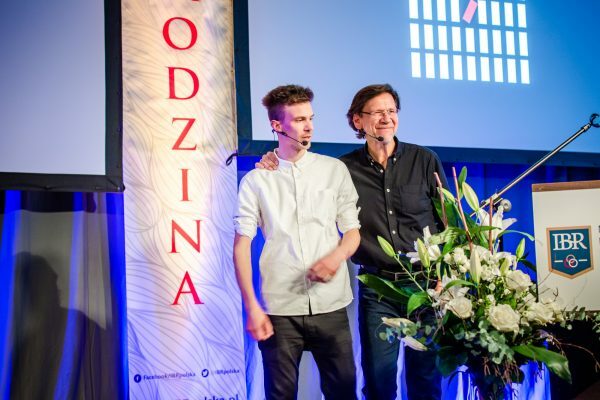 Szkoleniowiec i doradca w projekcie Firmy Rodzinne oraz Firmy Rodzinne 2 realizowanym przez Inicjatywę Firm Rodzinnych oraz PARP, trener i doradca projektów Planowanie Strategiczne oraz Instrument Szybkiego Reagowania na zlecenie WYG Consulting, trener programu sukcesyjnego Business Transfer Programme, trener i doradca w projekcie Moje Apteki – Misja i Biznes. Członek International Family Enterprise Research Academy IFERA. Holder of post-doctoral degree in Finance. Professor at the University of Economics and Business in Poznań, head of the Department of Investment and Capital Markets. Chairperson of the Policy Council of the Family Businesses Institute. Director of CMT Advisory. Author and reviewer of numerous scholarly and press articles. Specialist in Merger & Acquisition transactions on the private market, financial strategies and corporate governance. Leader of a vast number of projects related to financing acquisition and enterprise restructuring. For over a decade connected with the banking sector and a private equity fund. Member of supervisory boards of corporations. Stefan Hipp was born in March 1968. The oldest of five children of organic farming pioneer Claus Hipp, he grew up on an organic farm. He completed commercial management training in the family company of HiPP from 1989 to 1991 before studying political science at Ludwig-Maximilians-Universität in Munich from 1991 to 1993, and agriculture and food industry management at the Royal Agricultural College Cirencester, England, from 1993 to 1994. He has been a member of the board of management of the family-run concern HiPP since 1997. A passionate entrepreneur, Stefan Hipp daily masters the challenge of combining the local concerns of a family company with the needs of a global player with a portfolio of around 400 products. He is an expert on organic farming and a major advocate of the subject, never tiring of explaining the importance of sustainability and conservation. 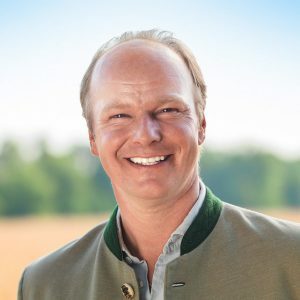 In his deeply held belief of treating natural resources with care, Stefan Hipp follows in the footsteps of his grandfather, Georg Hipp, who founded the company in 1932, and his father Claus Hipp. A dedicated organic farmer, Stefan Hipp also runs an organic model farm in Poland, where he grows cereals and vegetables in accordance with the principles of ecological farming and keeps free-range Angus cattle and their calves in year-round outdoor pastures. Stefan Hipp is member of the Executive Committee of the Federal Association of Producers of Food for Special Dietary Purposes (Diätverband) and member of the Executive Board of ABEW (consortium of the Bavarian Food Industry). Daniel Hager was born in 1972 in Germany. He attended boarding school in the French speaking part of Switzerland for eight years, qualifying with the Maturité, before studying at the business school Ecole de Commerce Solvay in Brussels. He continued his studies at University Paris X Nanterre University and at the EAP/ESCP Europe business school in the Paris-Oxford-Berlin stream. In 1996 he obtained a Bachelor Degree in Economics and German and three years later a Diplom-Kaufmann and a European Masters in Management. Daniel Hager started his professional career as Project Manager with Eaton Electrical (ETN) in both the United Kingdom and the United States. He then moved to a German wind farm developer, Plambeck Neue Energien AG (PNE2) to develop their international activities more specifically in France. In 2003, he joined the family business founded by his father and his uncle. After having held various management positions, he took over as Chief Executive Officer in 2008. A husband and father of three children, he divides his time between Germany and France. 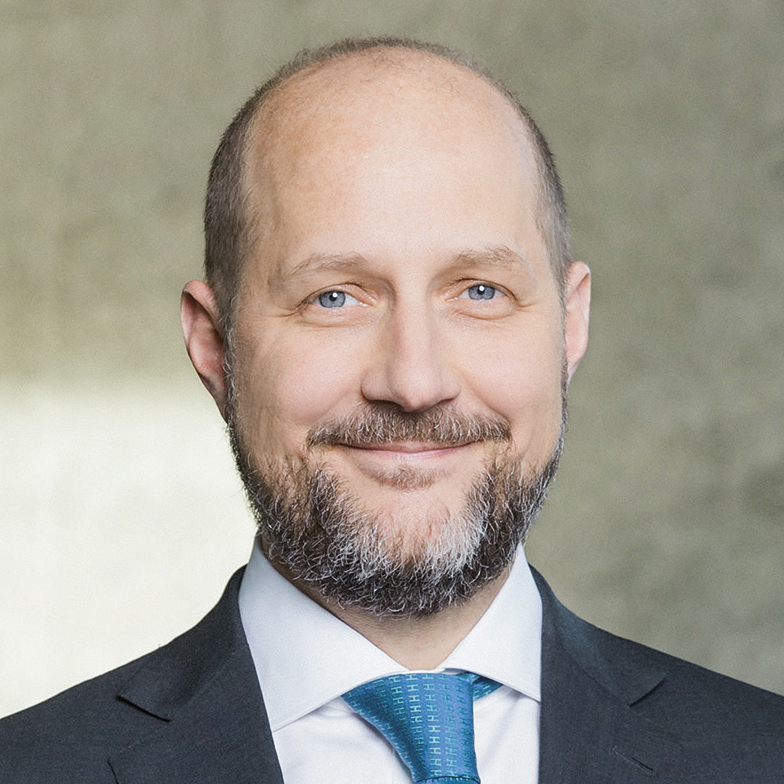 Daniel Hager represents the interests of business associations of the electrical industry in Germany and France in the Executive Board of the German Electrical and Electronic Manufacturer’s Association ZVEI and in the Board of the French partner association FIEEC. He is also a member of the Economic Advisory Board of the regional bank SaarLB and the Advisory Board of Deutsche Bank. 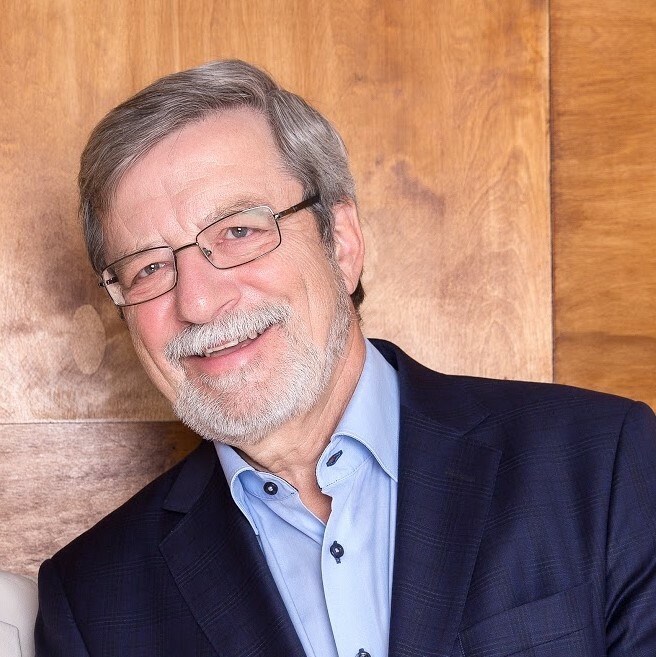 In addition to this, he is member of the Executive of the German-French Chamber of Industry and Commerce (AHK) and chairman of the Supervisory Board of the charitable Peter and Luise Hager Foundation. After the coffee break, we invite you to panel sessions. We have prepared 4 parallel panel sessions for you. At each session you choose 1 of them to attend. 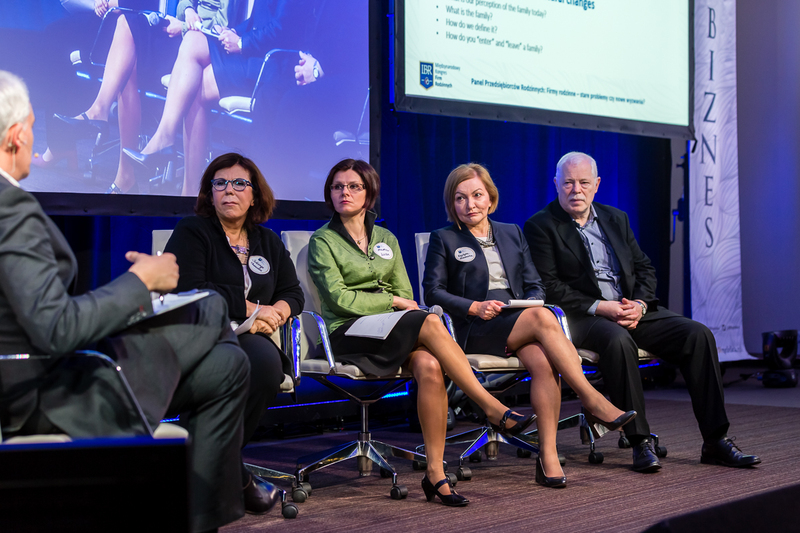 How family business can cooperate with private equity? Speech of the Partner: Domański Zakrzewski Palinka. Each session is conducted 3 times for 40 minutes. 1. How to ensure the multigeneration of a family business? Does Polish legislation provide sufficient legal tools? 2. Do the will, chosen the matrimonial property regime and corporate ownership control really support the process of building a multigenerational family business? 3. Will the private foundation ensure the continuation of the family business for the next generations of founders? Advisor on strategy and succession in family businesses. Specializes in strategic consulting and development strategies for enterprises, as well as in succession strategies and coaching. Founder and president of the Institute of Family Business – a research center and Knowledge Center – created for the owners of family businesses and their successors. Substantive Leader and Expert on Methodology of Support for the Succession Process in EU-funded project “Value codes – effective succession in Polish family businesses”. 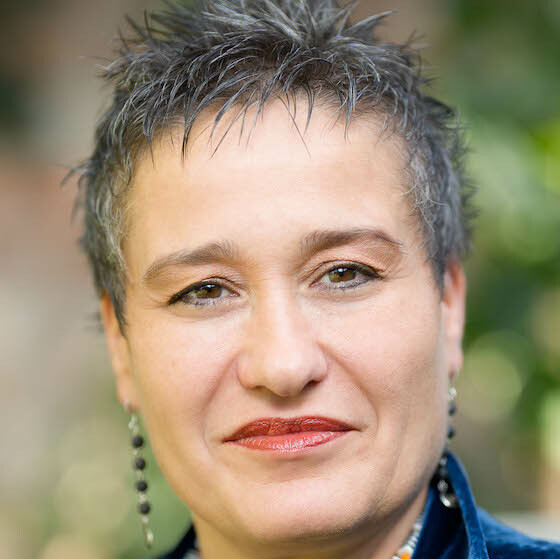 A member of the International Network of Strategic Advisors based in Berlin. An accredited partner of PARP. Member of the Family Business Initiative (membership number 77). Trainer and advisor in the project Family Businesses and Family Businesses 2 implemented by the Family Business Initiative and PARP, trainer and project adviser Strategic Planning and Rapid Response Instrument commissioned by WYG Consulting, success trainer Business Transfer Program, trainer and adviser in the project Moje Pharmacy – Mission and Business. A member of the International Family Enterprise Research Academy IFERA. 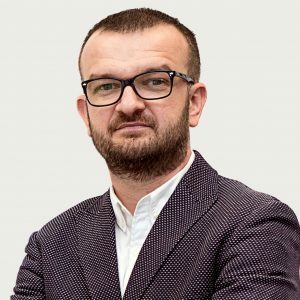 Grabowski i Wspólnicy Kancelaria Radców Prawnych Sp. k.
The legal adviser with several years of professional experience. He has many years of experience in legal consulting in the field of corporate and transaction. Specializes in M & A consultancy, leveraged buyouts and ongoing corporate consultancy. This experience, supported by many years of relationships with owners of family businesses, uses in the structuring of sales transactions of a family business when the process of succession is not possible to carry out. Lecturer at numerous training and seminars in the field of legal aspects of the functioning of the capital market. He finalized from the legal and regulatory side the acquisition of Copernicus TFI from the PE fund. In her work, she shows great knowledge and experience, as well as calmness and creativity, which results in a balanced and effective approach to the client and his business goals. For most of his professional activity, he was associated with the capital market, where he advised on legal services in the IPO (on the regulated market and in the ASO), as well as ongoing legal services for public and non-public companies. 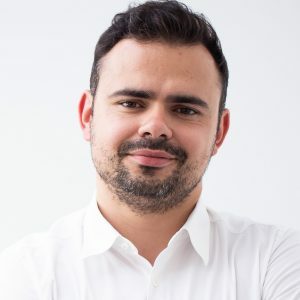 On a daily basis, he represents clients before the Polish Financial Supervision Authority, the Warsaw Stock Exchange, the National Depository for Securities, the Office of Competition and Consumer Protection, as well as before common and administrative courts. He was associated with the capital market as a manager at Copernicus Capital TFI and a board member at Copernicus Securities S.A. and as the Deputy Director of the Department in the Financial Supervision Commission of the Department of Proceedings. He advises clients in structuring capital groups and operating activities. Legal adviser with several years of practice in the legal profession. She has extensive experience in the fields of corporate law and capital markets. She specializes in advising on intergenerational succession projects in business, structuring family and corporate relationships in a family business. For many years, she served from the legal side projects in the field of tax-law planning and structuring of capital groups and operations. The value of restructuring and reorganization projects in which it participated exceeds PLN 4 billion. In addition, She has experience in providing legal services to IPO (on the regulated market and in the ASO) as well as ongoing legal services for public and non-public companies. Today, she uses these experiences in legal planning for the succession process, using the potential of the young generation, also within the Family Start-Ups. Author of many publications related to family businesses and issues of these companies. Co-author of the commentary to the Code of Commercial Companies of C.H. Beck (2014, 2017) and Beck-online. Connected with family entrepreneurship since childhood. Privately engaged in the activities of a family company, founded by parents in the early 90s. Holder of post-doctoral degree in Finance. Professor at the University of Economics and Business in Poznań, head of the Department of Investment and Capital Markets. Chairperson of the Policy Council of the Family Businesses Institute. Director of CMT Advisory. Maciej Duda is the CEO of Duda Holding, a group of companies focusing in estate development, finance, car dealership, agriculture, construction industry and others. For many years he used to be the chairman of PKM Duda SA (now Gobarto SA). Maciej Duda is the CEO of Duda Holding, a group of companies focusing in estate development, finance, car dealership, agriculture, construction industry and others. For many years he used to be the chairman of PKM Duda SA (now Gobarto SA). President of Duda Development, chairman of the supervisory board of the Opoka Investment Fund Company and founder of the Pig Farmer company. He was awarded the title of EY Enterpreneur Of The Year. An avid sports fan, he is a big Unia Leszno motorcycle speedway team supporter and patron. His first business experience Wojciech Duda has been gathering in PKM Duda SA (now Gobarto SA) since 2009. One of his first solo enterprises was creating a group purchasing organization Insignia Management. Between 2015 and 2017 he was the head of innovation in Duda-Cars, one of the biggest Mercedes-Benz dealerships in Poland. There he was a co-creator of the Legends line, consisting of renovated classic Mercedes cars. After accepting a couple of board membership positions in the family’s firms, he went on to become the vice president of Duda Holding and the president of Cars Care & More, a car detailing company. 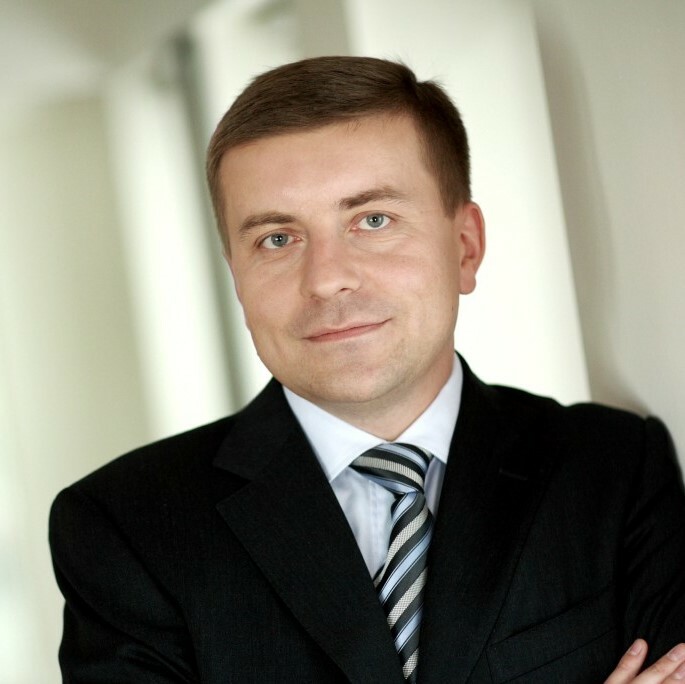 He is the vice president of Duda Development, a real estate company. He is also the head of Duda Holding’s charitable foundation. In his spare time he follows the latest automotive trends, cheers his favorite football team on (Visca el Barça!) and goes mountain climbing in Tatras. 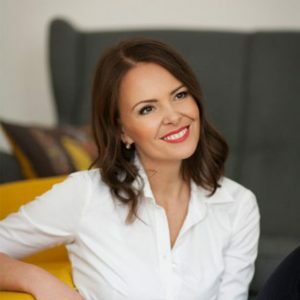 Always aiming higher and always wanting to make other people’s lives better and more beautiful, Bogna Duda-Jankowiak divides her time between managing Pałac Pakosław and developing family’s charity foundation, The Duda Family Foundation, of which she is an initiator and a cofounder. Born and raised in Greater Poland, Bogna Duda-Jankowiak dedicated her life to charity, hospitality and creativity. 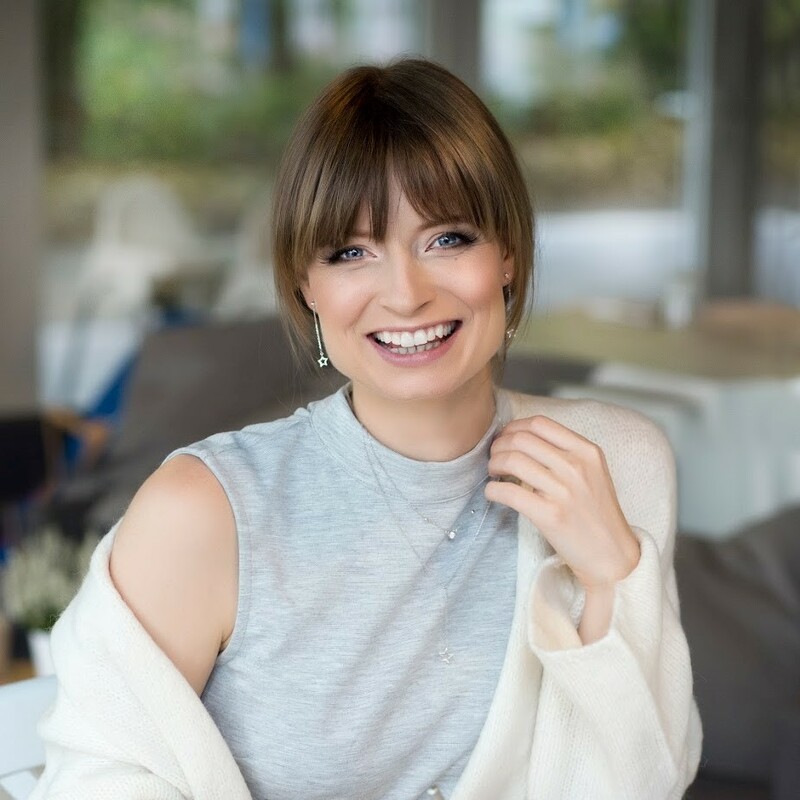 Always aiming higher and always wanting to make other people’s lives better and more beautiful, Bogna Duda-Jankowiak divides her time between managing Pałac Pakosław and developing family’s charity foundation, The Duda Family Foundation, of which she is an initiator and a cofounder. DFF is a nonprofit organization by coming up with new, innovative educational and cultural projects and initiatives. DFF, which in the beginning was one of the very few CSR projects in Poland, is celebrating its 15th anniversary this year. It is still going strong as a role model of youth-oriented charity organization. When Bogna Duda-Jankowiak first encountered Pałac Pakosław, just some mansion in rural Greater Poland then, she saw a great potential. She turned the decrepit building into a unique, one-of-a-kind place full of color, happiness and love, both innovative and immersed in local culture and tradition. 24 distinctly designed guest rooms and a restaurant well-known for its tasty, locally-sourced menu later, Pałac Pakosław is a must-see place for everyone who is traveling between Wrocław and Poznań or looking for venue for a team-building activity. In addition to her regular hotel-management duties in Pałac Pakosław, she leads The Academy of Women’s Progress, her brainchild, a project aiming to empower and inspire women while building a strong local female community. A true family person, Bogna Duda-Jankowiak dedicated almost 15 years of her career to a family business, Polski Koncern Mięsny DUDA SA. 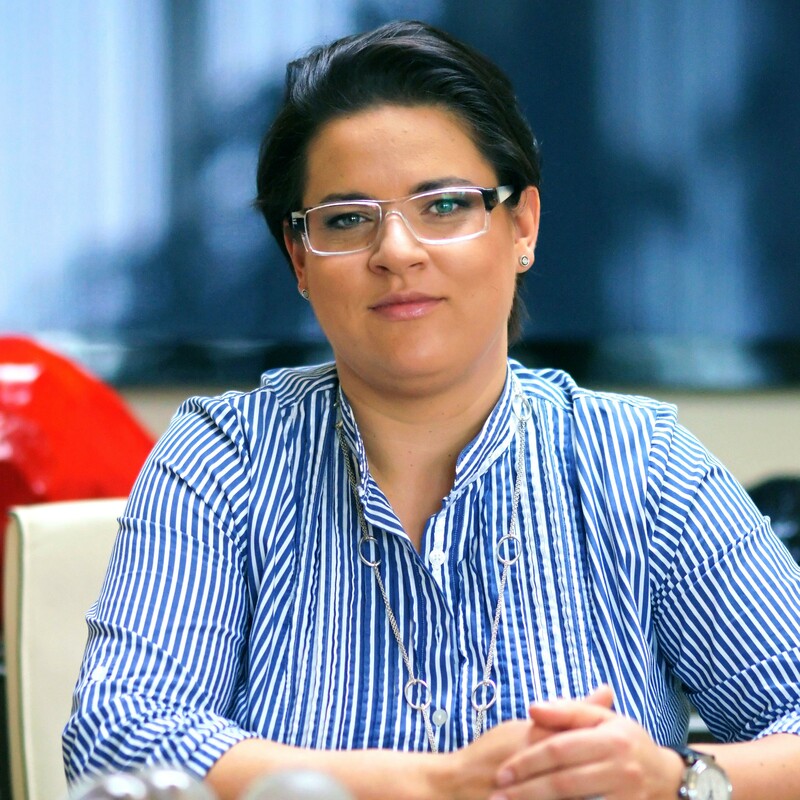 Currently she is a vice president of Duda Holding sp. z o.o. Communication expert with over 20 years of experience in public relations. Co-founder and managing partner at Lighthouse. Communication expert with over 20 years of experience in public relations. 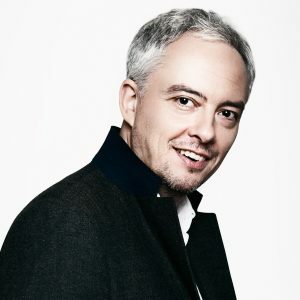 Co-founder and managing partner at Lighthouse – a company with Polish capital operating in the international structure of Edelman, one of the largest communication agencies in the world. Chairman of the Council of Polish Public Relations Consultancies Association (ZFPR). He specializes in crisis and issue management. He has successfully executed over 350 crisis management projects. The communication of family businesses regarding succession, communication of the family business brand and M&A are his key areas of interest. Involved with LPP since 1997. For many years, he has been responsible for legal servicing, which he provided as a managing partner as part of the „Krzyżagórska Łoboda i Partnerzy” law firm. Furthermore, since 2005, he has also been responsible for the renting and investment departments. As Vice-President of the Management Board since October 2015, he has been responsible for the development of LPP. He deals with acquiring new commercial space, store building, as well as the legal department. He has implemented many projects during his time with LPP. 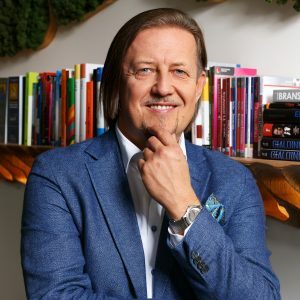 He created a franchise network, introduced the company onto the stock market, merged the company with Artman SA, disposed of the Esotiq brand, and developed the company’s own store chain. 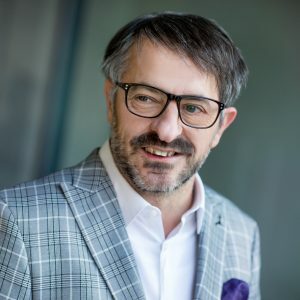 Mr. Łoboda is the President of the Council for the Hospice Foundation, a non-profit organisation which takes care of the chronically ill. For his social commitment, Mr. Łoboda was honoured with the Brown Cross of Merit awarded by President Bronisław Komorowski. Born in 1965, he is a graduate of law from Gdańsk University. In 1995, he passed the bar examination for legal advisors. For several years associated with the company OCHNIK currently serves as Chairman of the Board. Graduated from School of Management and Law in Warsaw. For several years associated with the company OCHNIK currently serves as Chairman of the Board. Helping with the management of a dynamic family company, particular attention is paid to issues related to building corporate culture. The values that guide the people working in OCHNIK, constitute an important element of business strategy. He is married and has two sons. In his free time he reads books about psychology. He is passionate about sticking models of aircrafts from World War II. Client Partner at Pedersen & Partners based in Warsaw, Poland. Mr. Maczynski has over 18 years of Executive Search experience, and conducting assignments across Poland and other CEE markets. 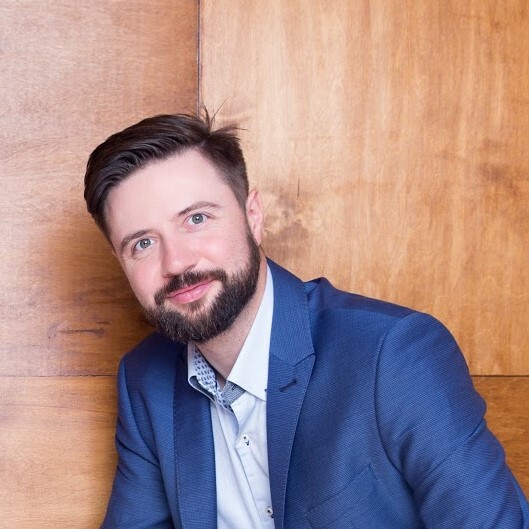 Tomasz Mączyński is a Client Partner at Pedersen & Partners based in Warsaw, Poland. Mr. Maczynski has over 18 years of Executive Search experience, and conducting assignments across Poland and other CEE markets. Tomasz helps Polish companies in developing their operations across Europe, Asia and North America. He specialises in top-level assignments focusing on the Consumer Goods, Retail, Private Equity, and Financial industries. Mr. Mączyński has an M.A. degree in Management from the University of Warsaw and a Postgraduate degree in Social Psychology from the University of Social Sciences and Humanities. He speaks native Polish and fluent English. Client Partner and the Country Manager for Poland at Pedersen & Partners. Mr. Dabrowski was instrumental in the establishment of Pedersen & Partners in 2001 and plays a key role in the continued strengthening of the firm on the Polish market with particular focus on general management, strategy, M&A and investment management solutions in the Financial Services industry. 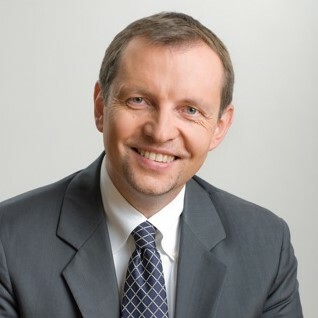 Krzysztof Dabrowski is a Client Partner and the Country Manager for Poland at Pedersen & Partners. Mr. Dabrowski was instrumental in the establishment of Pedersen & Partners in 2001 and plays a key role in the continued strengthening of the firm on the Polish market with particular focus on general management, strategy, M&A and investment management solutions in the Financial Services industry. 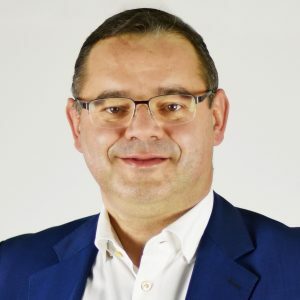 He brings over 22 years of experience in the executive recruitment industry, having successfully completed hundreds of middle and top managerial assignments across all sectors, working closely with clients in assessing organisational needs and introducing the right talent to take organisations to new levels of development. Mr. Dabrowski holds an M.Sc. in Economics from the Warsaw School of Economics. Apart from his native Polish, he speaks fluent English. From 2007 to 2018 she was associated with the Polish international Group Selena (construction chemicals). First as the Business Unit Director and Executive Board member, next, as the Vice-president and Board Member. Agata Gładysz graduated in International Relations from Katowice School of Economics and completed postgraduate studies in Finance Management and Controlling from WSB University in Poznań. She began her career in 1999 by working for the international construction chemicals producer – Fosroc International. She was implementing one of the first advanced products for road, bridge and industrial construction. She was also managing sales and deals commercialization. 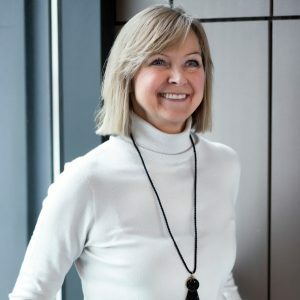 In the 2005-2007 she was managing sales, marketing and product development in the construction catch industry at AXA Stenman Group in Poland and CEE markets. From 2007 to 2018 she was associated with the Polish international Group Selena (construction chemicals). First as the Business Unit Director and Executive Board member she was responsible for the successful global development and managing the biggest business in the Group – polyurethane foams. Next, as the Vice-president and Board Member, she was managing the Group’s portfolio, strategy and innovative development. He brings over 22 years of working experience with investment funds’ portfolio companies. He is a Partner at Enterprise Investors, where he has been working for 17 years. He brings over 22 years of working experience with investment funds’ portfolio companies. He is a Partner at Enterprise Investors, where he has been working for 17 years. Mr Woźniak is a member of supervisory board in over 20 companies. He’s a senior investor with multiple investments and company sale transactions to his name – from a few to 150 Mio EUR. Earlier he worked as a consultant at Arthur Andersen and Company Assistance. In 2013-2016 he worked as a member of the board of the Polish Association of Capital Investors. An independent consultant in business management, interim engagement, corporate restructuring and advisory. He brings an impressive Supervisory Board experience (as President, Vice-president and Member) in public sector entities, private companies and family businesses. 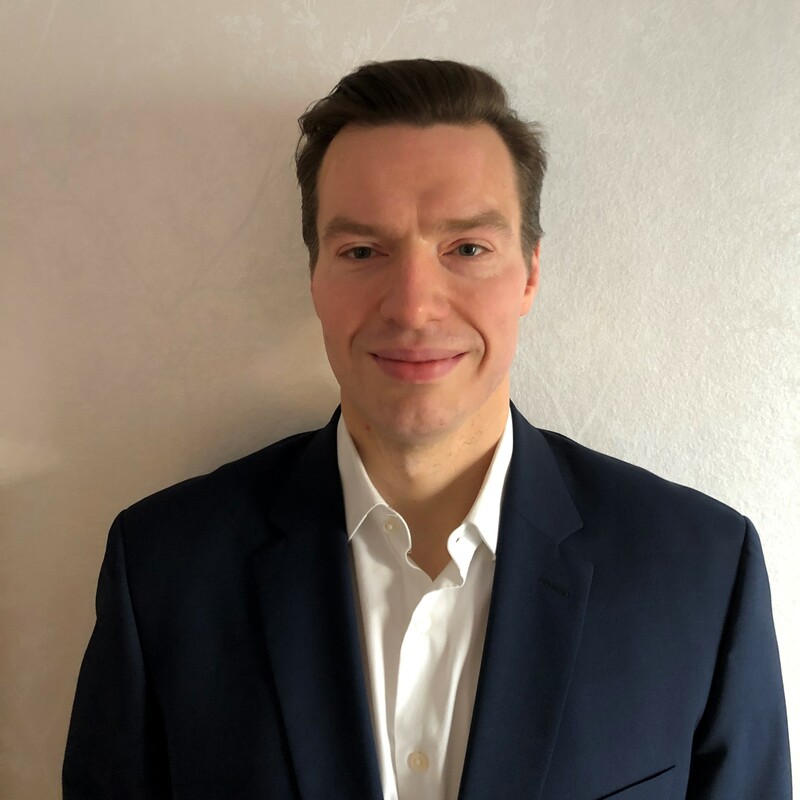 Jacek Osowski is an independent consultant in business management, interim engagement, corporate restructuring and advisory. He brings an impressive Supervisory Board experience (as President, Vice-president and Member) in public sector entities, private companies and family businesses. Currently he is a Supervisory Board Vice-president at LC Corp S.A., President of the Supervisory Board at Ferro S.A. and a member of Supervisory Board at Tarczyński S.A. In the past he participated in multiple Supervisory Boards of various family businesses like Famur S.A., Zamet Industry S.A., Famak S.A., PGO S.A., Polcolorit S.A., etc. Jacek graduated in Finance and Banking from the Warsaw School of Economics. He’s an Investment Advisor (number of license – 181), Chartered Financial Analyst and Auditor, as well as an MBA graduate of University of Illinois and University of Warsaw. President of the Management Board W.P.I.P. Member of SMART CITY FORUM Programme Board and Member of the Management Board of PLGBC – the Polish branch of World Green Building Council. 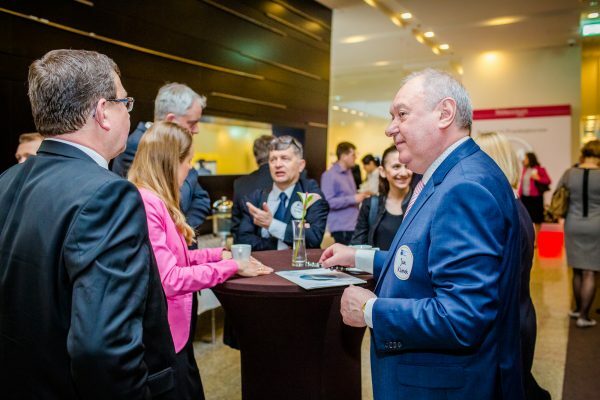 Supports development of family-run companies as the Member of the Management Board of Family Business Network Poland. Before joining YES as a Digital Transformation Consultant and Board Member, she started her professional path as an intern in social media strategy unit at DigitasLBi in London. Entrepreneurial by spirit and mindset, initiating projects and adding strategic business perspective. 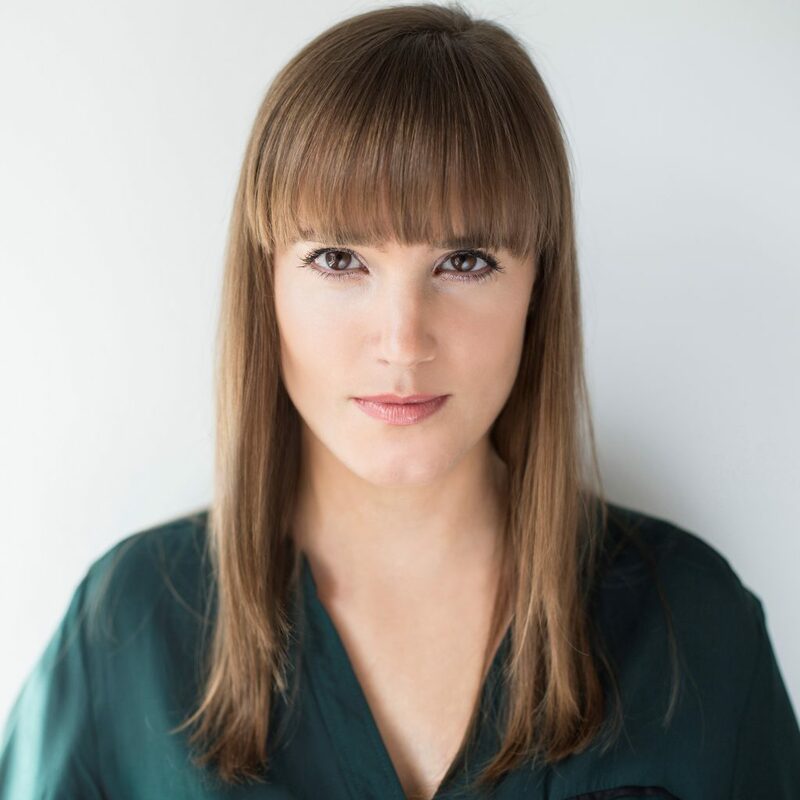 Before joining YES as a Digital Transformation Consultant and Board Member, she started her professional path as an intern in social media strategy unit at DigitasLBi in London, an agency relentlessly committed to help brands better connect with people. She subsequently moved to hold a creative strategist role at Unit9 London – creative and technology agency for brands, consistently recognised by major international awards. Simultaneously she helped found White Ducky – eCommerce agency. In 2015, she led Haptic Technology UX research project supported by Microsoft Research. Having worked with people of multiple set of skills and backgrounds, she has acquired a capacity for translating ideas into future products, services and experiences.